As reported in the February 29 1876 edition of the Los Angeles Herald, Volume 5, Number 132, San Quentin. Destructive Fire at the San Quentin Prison— troops from San Francisco Guard the Convicts. Sacramento, Feb. 28th. - Dispatches to the Governor state that a fire broke out in the State prison at San Quentin this afternoon. The workshops and kitchens are entirely destroyed. The Militia and Police from San Francisco are guarding the prison. The fire is now under control. The prisoners are behaving well." 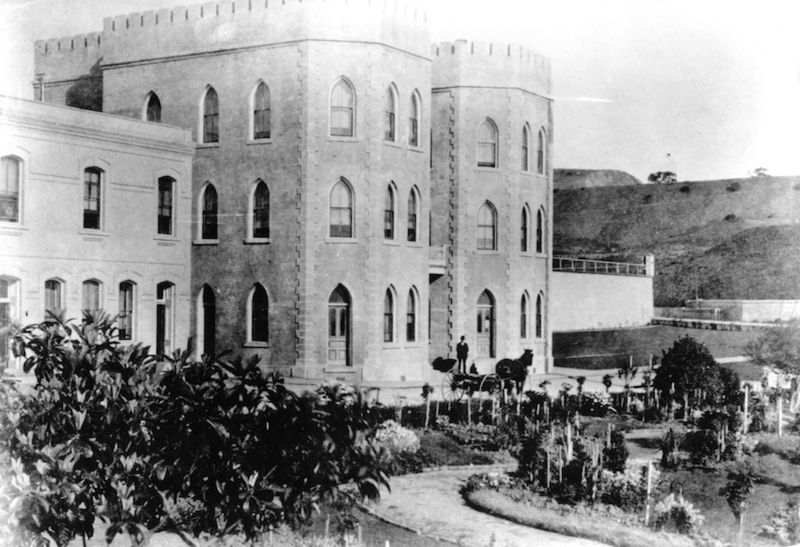 A photo from 1900 of the main entry to San Quentin State Prison.